Besides being made of plastic, the wildlife share another thing in common. 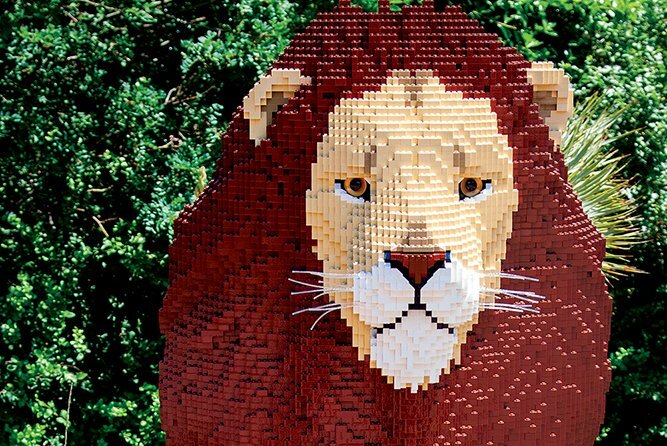 Animals made entirely of Lego pieces will be roaming the Philadelphia Zoo. The Philadelphia Zoo is welcoming new animals for public display on Saturday, April 6. The care and feeding of these creatures will be minimal, though. They're made up entirely of Lego pieces. Close to a dozen life-sized animals, from a lowland gorilla to a polar bear to the Micronesian Kingfisher bird, will be on display throughout the zoo. Besides being made of an estimated "gazillion" Lego pieces, the wildlife share another thing in common: they are all in one form or another endangered. The 'Creatures of Habitat' displays were built by certified Legos artist Sean Kenney and will also feature a Lego interpretation of the Rain Forest, which is also endangered. Visitors to the zoo can purchase and use a zoo key to unlock audio books at each station to learn more about the animal on display and what they face in the struggle to survive. The displays are scheduled to be up until Sept.30.